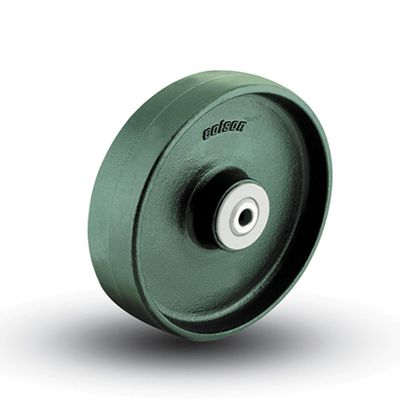 Available in 2-1/2″, 3″, 3-1/2″, 4″, 5″, and 6″ diameters, with 1-1/4″, and 1-1/2″ tread widths. Select “2 Series”, “3 Series” or “4 Series” in configurator. 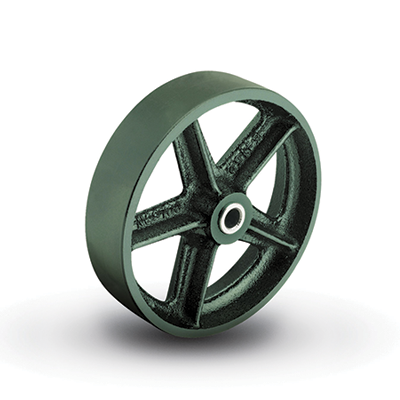 Note: Some cast iron models have solid cores depending on wheel diameter. Available in 4″, 5″, 6″, 8″, 10″, and 12″ diameters, with 2″, 2-1/2″ and 3″ tread widths. Select “5 Series,” “6 Series,” “7 Series,” or “8 Series” in configurator.